In today's world, many artists only have one or two hit songs and then they seem to fade away. We see it all the time as artists jump from their first album to their second. 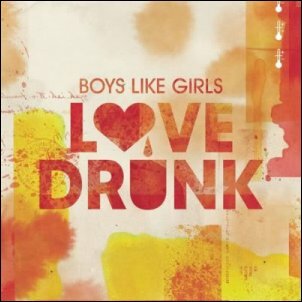 Boys Like Girls recently released their second album Love Drunk. For anyone, it would be a huge challenge to live up to their first album, having hits such as "The Great Escape" and "Hero/Heroine". You would think that it would be a breeze, already having these hits, to pull off a flawless second album. 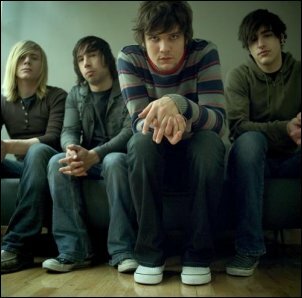 Did Love Drunk live up to the Boys Like Girls legacy, or are they simply fading away? I remember the first time I ever heard Boys Like Girls. Every morning my sister Raeanne would turn on MTV so we could watch and listen to the music videos they played in the morning. One morning as I was listening I heard "The Great Escape". I immediately fell in love with the insane rhythm and catchy lyrics. I later looked up the song on iTunes and downloaded it to my iPod. Then, with "Hero/Heroine" and "Thunder", I didn't think they could get any better. But I was proved wrong with the hit "Heels Over Head" which was released over the summer. It seemed that Boys Like Girls had a pretty successful start, and were on their way to being big. The rest of the summer was somewhat a blur. Boys Like Girls was mostly unheard of during the summer, living in the stages before the release of their second album. Then, just as summer was almost over, the first single, "Love Drunk", was released. I instantly recognized the difference between "Love Drunk" and their previous singles. Their punk/rock vibe that they had with "The Great Escape" had turned into a poppy feel. 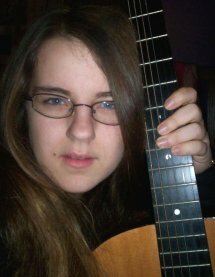 At first I was not to fond of the change, but eventually I warmed up to it. Even better, Taylor Swift was going to be on the album, and, if anyone knows me, they know I absolutely love Taylor Swift. With that news, I forgot about the change in style of the songs. Then came September 8th, and the album was finally where I could get my hands onto it. Being me, I actually had to walk from my high school to the Target down the road so I could have the actual CD in my hands. Then I listened to it and discovered that the harder rock style they had during the first album had been replace with pop. Not that I don't like or listen to pop, because honestly I listen to every music genre you can list ... well, maybe not every. It was mostly that the punkish feeling that you once got from their music had disappeared. The album in itself is amazing, but it does not live up to the first. So did they live up to the brilliance they created with their first album? No. It wasn't anything similar. But despite my disappointment, even I have to admit that this album isn't bad. Do I suggest it over the first? Again, no. Do I still recommend it? Yes, I do. This album would be good for people who like the pop genre over rock or punk. It is a good mixture between the two styles. And it was worth my money!